A senior United Nations official said yesterday she would raise the issue of persecution of Myanmar’s Rohingya minority, especially sexual violence and torture, with the International Criminal Court (ICC). 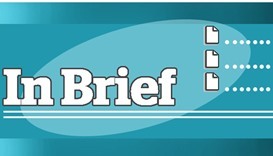 As part of efforts to build stronger trade and economic ties with Qatar, Tunisia is inviting Qatari investors to participate in its agriculture and aquaculture projects worth $200mn, a Tunisian official has said. 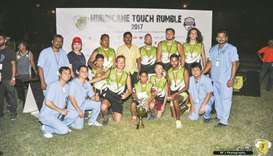 The Chiefs won the Qatar Touch – Hurricane Touch Rugby Rumble Cup with a 1-0 win over the Cockatoos in the final. 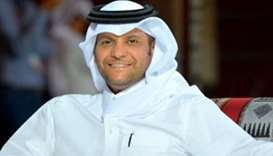 Qatar’s ambassador to Germany Sheikh Saoud bin Abdulrahman al-Thani rejected all the allegations of support for terrorism levelled against Qatar and added that the country never backed extremist groups and will not support such groups in the future. Actor Dwayne Johnson attends the premiere of Universal Pictures’ The Fate Of The Furious at Radio City Music Hall. 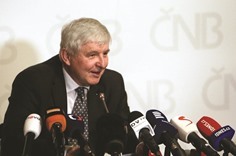 The Czech central bank ditched its cap on the crown yesterday, sending the currency sharply higher as investors who have bet billions of euros on it strengthening traded it freely for the first time since 2013. 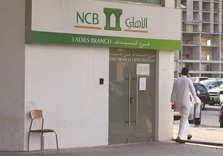 Saudi Arabia’s National Commercial Bank (NCB) reported a 7.5% rise in fourth-quarter net profit yesterday as the kingdom’s largest lender was boosted by higher income from commission and investments. 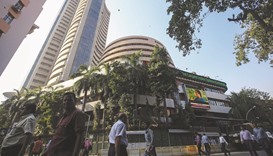 Breaking a seven-day losing pattern, the Sensex yesterday reclaimed the key 26,000-mark by recovering 61 points, helped by gains in pharma, auto and capital goods. 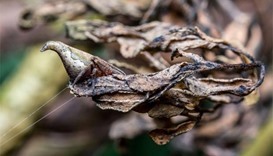 Indian scientists have discovered a new species of spider that looks "uncannily" like the sorting hat in Harry Potter and have named it after its owner Godric Gryffindor, they said on Thursday. 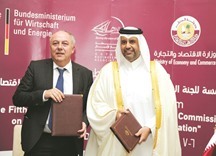 Two German energy firms have signed LNG supply contracts with Qatar as part of Germany’s efforts to diversify its gas supply sources and to strengthen cooperation ties with the Gulf country, a high ranking official has said.